Arsenal are ready to bring Mesut Ozil to put pen to paper soon and extend his contract at the club. With the German playmaker’s current contract having less than two years left, the Gunners quickly want to officially confirm the extension of his stay. The club have had a history of letting their star men – the likes of RVP, Fabregas and Nasri – leave the Emirates, and they are now desperate to not let the same mistake be repeated. David Miles, the club’s general secretary, confirmed the reports claiming an agreement is being made, but failed to bring forward the wages part of it, as that seems to be the problem delaying it at the moment. 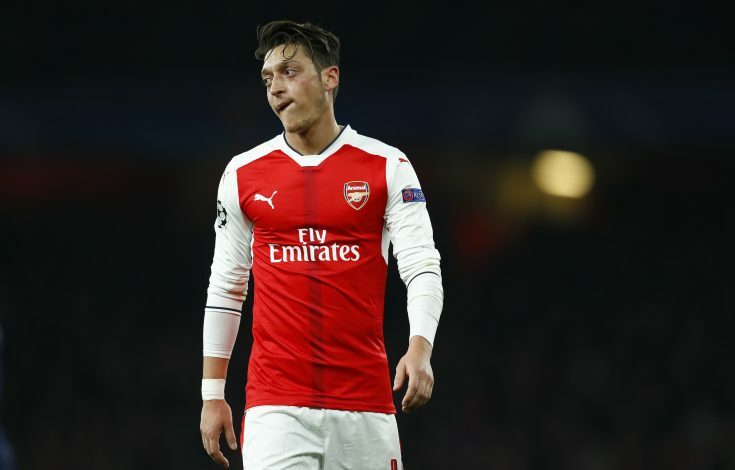 Daily Mail claims the fact that Ozil will be offered a 5-year contract extension with £200,000-a-week wage, and fellow midfielder Coquelin will also get a new contract come the new year. Alexis Sanchez reportedly demands a wage of £400,000-per-week, and such a heavy price may force the club into letting their current top scorer leave in the summer. However, Ozil has been ever so instrumental since joining the Gunners from Real Madrid, and his partnership with Alexis has kept them right up in the title race at nearly the midway point of the season. Arsenal seem like a team ready to fight until the end, and confirming the deals are absolutely essential for them to keep their super stars happy, so as to extract excellent performances and desired results. With Wenger’s reign also coming closer to its inevitable conclusion, the next few years are highly crucial for the club to win silverware and set up a squad capable of challenging for titles across all competitions.